The Eliza Vitello is made from 100% Italian smooth calf leather and a contrasting colored leather interior. The leather is gorgeous. It's soft and flexible but stiff enough to keep the bag in shape. Size-wise, the bag is available in 2 sizes (9" and 12"). I have the small one and the size is perfect for me. There is plenty of space for my daily essentials without being too big and bulky. I was pleasantly surprised to find out that this bag comes with a detachable interior zip pouch. It's great for organizing and can also be used as a wristlet when you don't want to take the whole bag. Being petite, I appreciate the completely adjustable shoulder strap. 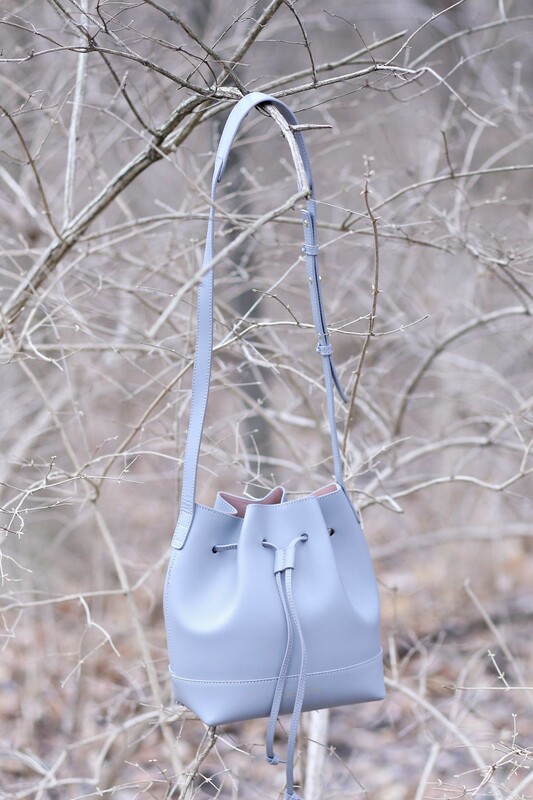 This bucket bag is available in 6 different color combinations. The rose color is so pretty for Spring. However, pink is not my first choice of color so I opted for the light grey version with the rose interior. Light grey and blush pink compliment each other so well. 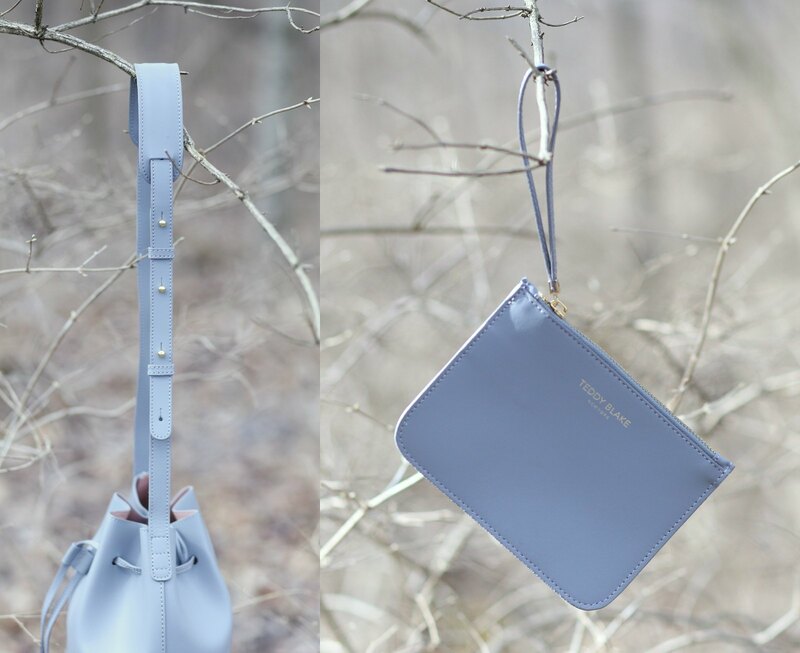 All in all, it's a great everyday bag and I am looking forward to style it with my spring outfits. That's a gorgeous bag. I personally don't wear leather but I've never really given much thought into bucket bags but I'm definitely gonna pay more attention next time I go shopping for a new bag. Definitely a fun silhouette for Spring =) Thanks for stopping by, Marta!